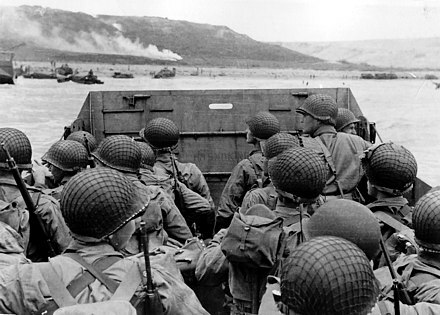 Nearly every country and territory in the world participated in World War II. Most were neutral at the beginning, but only a few nations remained neutral to the end. 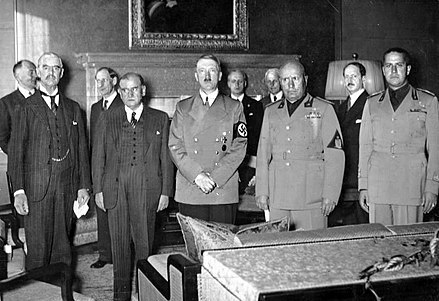 The Second World War pitted two alliances against each other, the Axis powers and the Allied powers. 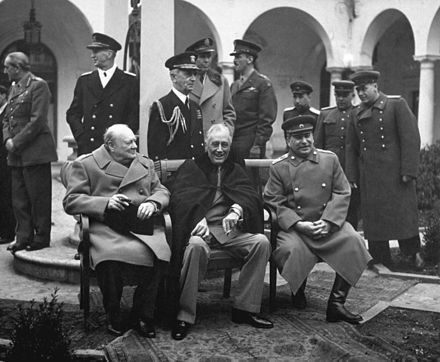 The leading Axis powers were Nazi Germany, the Kingdom of Italy and the Empire of Japan; while the United Kingdom, the United States, the Soviet Union and China to an extent was the "Big Four" Allied powers. Japan, which aimed to dominate Asia and the Pacific, was at war with China by 1937,  [lower-alpha 2] though neither side had declared war on the other. 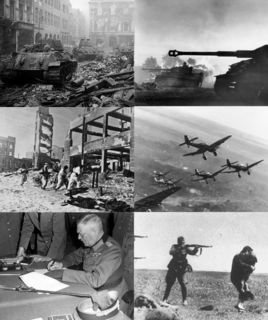 World War II is generally said to have begun on 1 September 1939,  with the invasion of Poland by Germany and subsequent declarations of war on Germany by France and the United Kingdom. 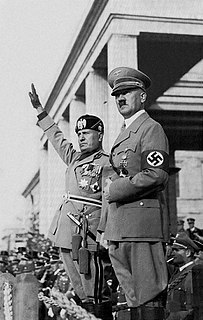 From late 1939 to early 1941, in a series of campaigns and treaties, Germany conquered or controlled much of continental Europe, and formed the Axis alliance with Italy and Japan. Under the Molotov–Ribbentrop Pact of August 1939, Germany and the Soviet Union partitioned and annexed territories of their European neighbours, Poland, Finland, Romania and the Baltic states. 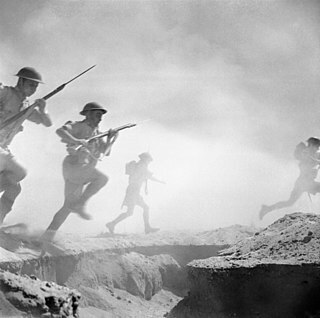 Following the onset of campaigns in North Africa and East Africa, and the fall of France in mid 1940, the war continued primarily between the European Axis powers and the British Empire. 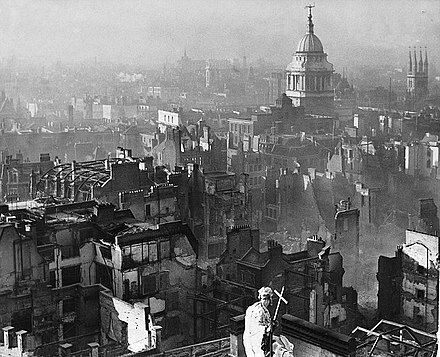 War in the Balkans, the aerial Battle of Britain, the Blitz, and the long Battle of the Atlantic followed. On 22 June 1941, the European Axis powers launched an invasion of the Soviet Union, opening the largest land theatre of war in history. 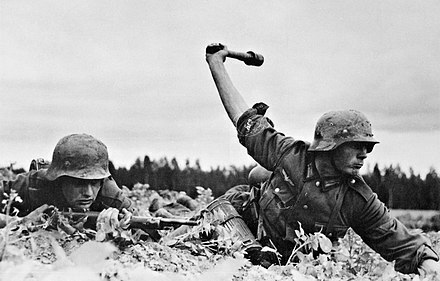 This Eastern Front trapped the Axis, most crucially the German Wehrmacht, into a war of attrition. 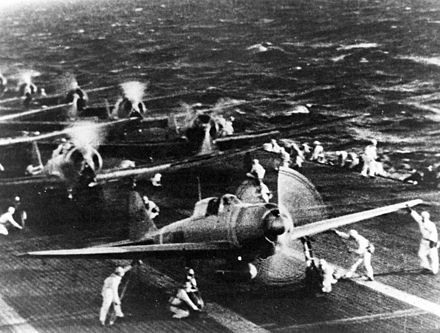 In December 1941, Japan launched a surprise attack on the United States as well as European colonies in the Pacific. 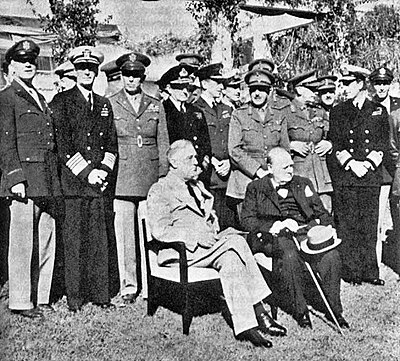 Following an immediate U.S. declaration of war against Japan, supported by one from Great Britain, the European Axis powers quickly declared war on the U.S. in solidarity with their Japanese ally. 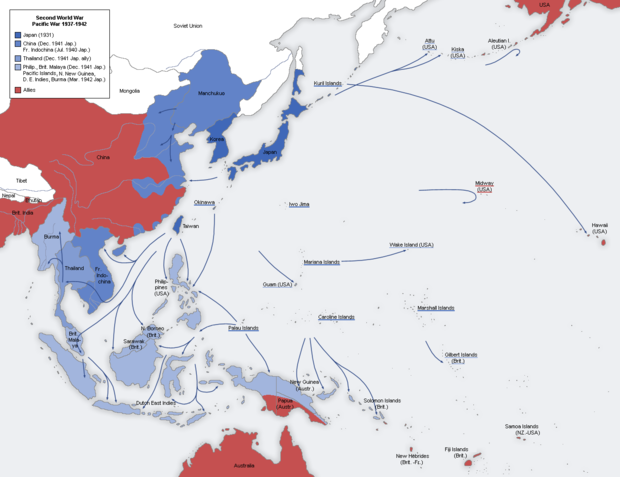 Rapid Japanese conquests over much of the Western Pacific ensued, perceived by many in Asia as liberation from Western dominance and resulting in the support of several armies from defeated territories. 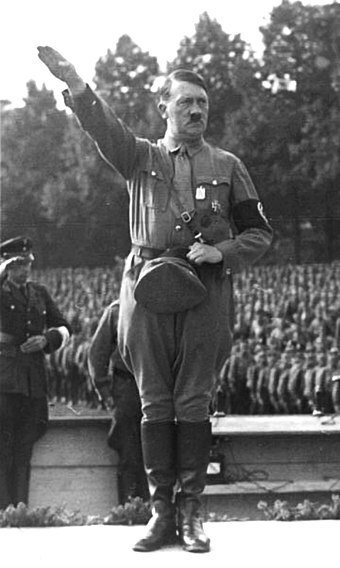 Adolf Hitler was a German politician who was the leader of the Nazi Party, Chancellor of Germany from 1933 to 1945, and Führer ("Leader") of Nazi Germany from 1934 to 1945. 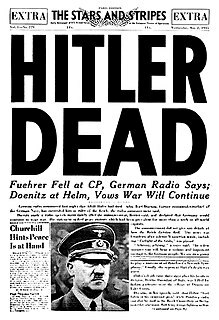 He killed himself by gunshot on 30 April 1945 in his Führerbunker in Berlin. Eva Braun, his wife of one day, committed suicide with him by taking cyanide. In accordance with Hitler's prior written and verbal instructions, that afternoon their remains were carried up the stairs through the bunker's emergency exit, doused in petrol, and set alight in the Reich Chancellery garden outside the bunker. 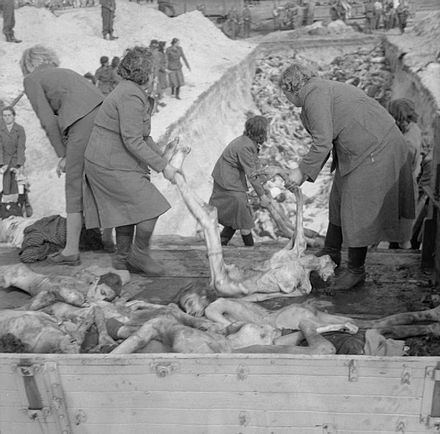 Records in the Soviet archives show that their burnt remains were recovered and interred in successive locations until 1946. In 1970, they were again exhumed, cremated, and the ashes scattered. 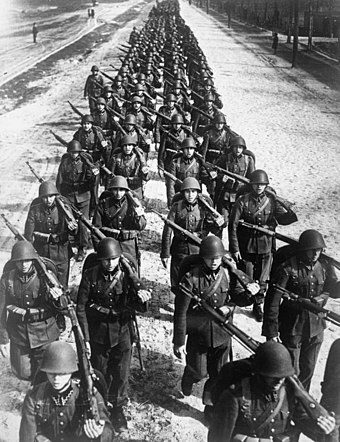 In February, the Soviets entered Silesia and Pomerania, while Western Allies entered western Germany and closed to the Rhine river. 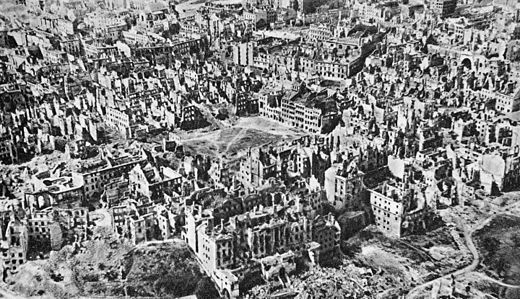 By March, the Western Allies crossed the Rhine north and south of the Ruhr, encircling the German Army Group B. In early March, in an attempt to protect its last oil reserves in Hungary and to retake Budapest, Germany launched its last major offensive against Soviet troops near Lake Balaton. 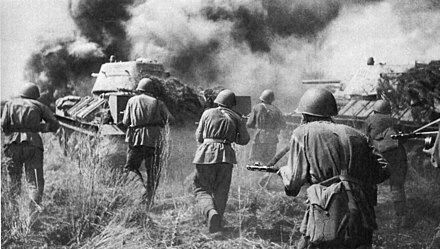 In two weeks, the offensive had been repulsed, the Soviets advanced to Vienna, and captured the city. 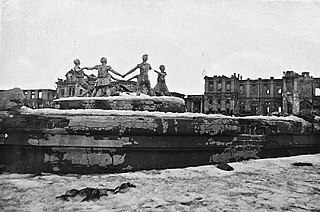 In early April, Soviet troops captured Königsberg, while the Western Allies finally pushed forward in Italy and swept across western Germany capturing Hamburg and Nuremberg. American and Soviet forces met at the Elbe river on 25 April, leaving several unoccupied pockets in southern Germany and around Berlin. 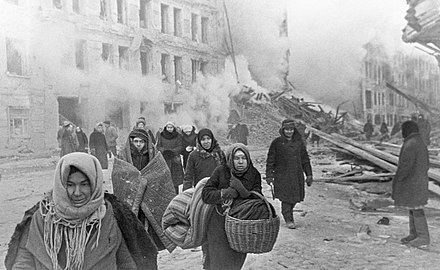 Soviet and Polish forces stormed and captured Berlin in late April. 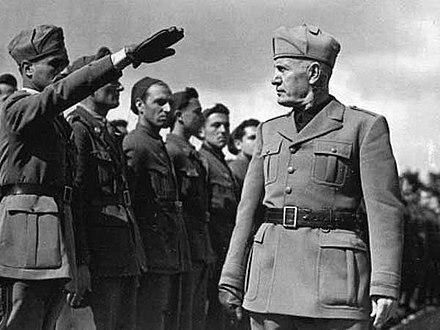 In Italy, German forces surrendered on 29 April. 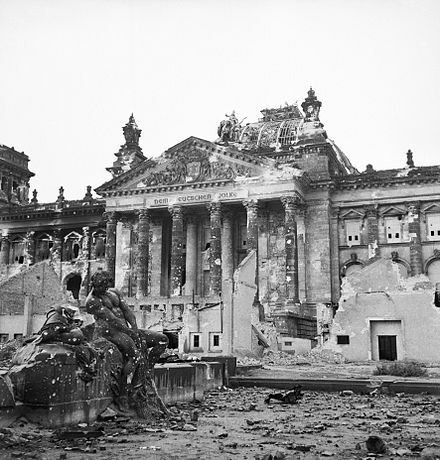 On 30 April, the Reichstag was captured, signalling the military defeat of Nazi Germany,  Berlin garrison surrendered on 2 May. 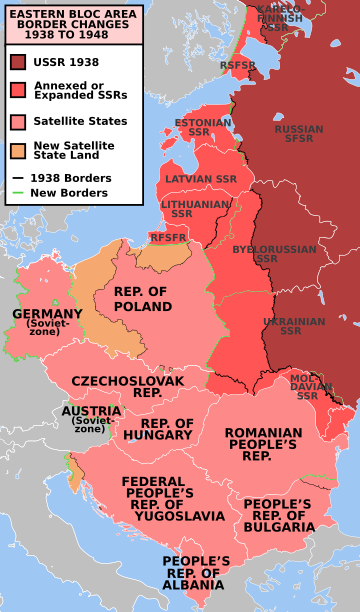 In the East, the intended gains of Lebensraum were never attained as fluctuating front-lines and Soviet scorched earth policies denied resources to the German invaders. 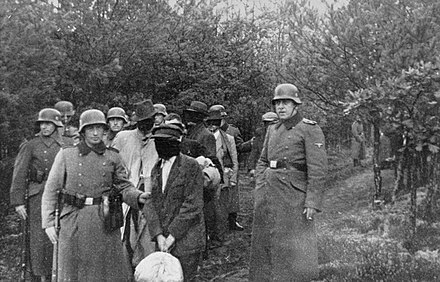 Unlike in the West, the Nazi racial policy encouraged extreme brutality against what it considered to be the "inferior people" of Slavic descent; most German advances were thus followed by mass executions. 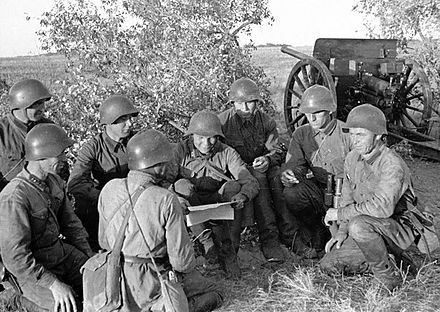 Although resistance groups formed in most occupied territories, they did not significantly hamper German operations in either the East  or the West  until late 1943. 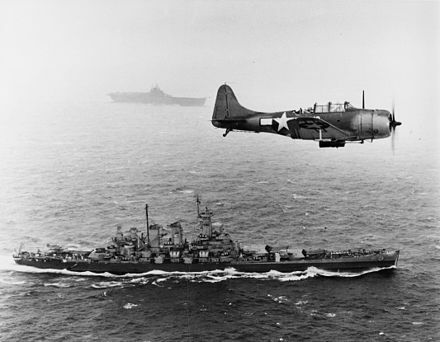 Aircraft were used for reconnaissance, as fighters, bombers, and ground-support, and each role was advanced considerably. 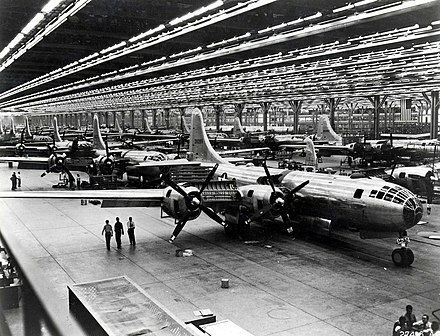 Innovation included airlift (the capability to quickly move limited high-priority supplies, equipment, and personnel);  and of strategic bombing (the bombing of enemy industrial and population centres to destroy the enemy's ability to wage war). Anti-aircraft weaponry also advanced, including defences such as radar and surface-to-air artillery. The use of the jet aircraft was pioneered and, though late introduction meant it had little impact, it led to jets becoming standard in air forces worldwide. 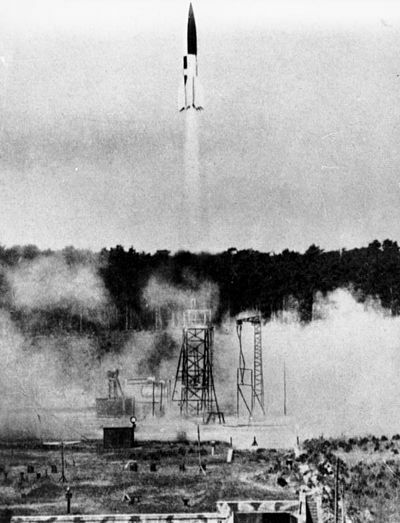 Although guided missiles were being developed, they were not advanced enough to reliably target aircraft until some years after the war. ↑ "BBC - Tyne - Roots - Non-Jewish Holocaust Victims : The 5,000,000 others". www.bbc.co.uk. Archived from the original on 19 October 2017. Retrieved 27 August 2017. ↑ Herman Van Rompuy, President of the European Council; José Manuel Durão Barroso, President of the European Commission (10 December 2012). "From War to Peace: A European Tale". Nobel Lecture by the European Union. Archived from the original on 4 January 2014. Retrieved 4 January 2014. 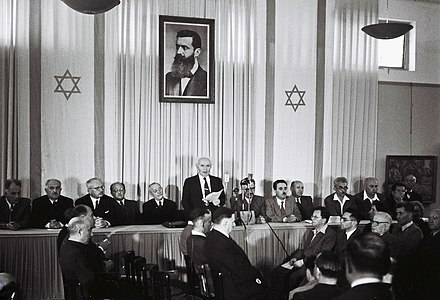 ↑ Ben-Horin 1943 , p. 169; Taylor 1979 , p. 124; Yisreelit, Hevrah Mizrahit (1965). Asian and African Studies, p. 191. For 1941 see Taylor 1961 , p. vii; Kellogg, William O (2003). American History the Easy Way. Barron's Educational Series. p. 236 ISBN 0-7641-1973-7. There is also the viewpoint that both World War I and World War II are part of the same "European Civil War" or "Second Thirty Years War": Canfora 2006 , p. 155; Prins 2002 , p. 11. ↑ "History of German-American Relations » 1989–1994 – Reunification » "Two-plus-Four-Treaty": Treaty on the Final Settlement with Respect to Germany, September 12, 1990". usa.usembassy.de. Archived from the original on 7 May 2012. Retrieved 6 May 2012. ↑ Why Japan and Russia never signed a WWII peace treaty Archived 4 June 2018 at the Wayback Machine . Asia Times. ↑ Mandelbaum 1988 , p. 96; Record 2005 , p. 50. ↑ Andrea L. Stanton; Edward Ramsamy; Peter J. Seybolt (2012). Cultural Sociology of the Middle East, Asia, and Africa: An Encyclopedia. p. 308. ISBN 978-1-4129-8176-7. Archived from the original on 18 August 2018. Retrieved 6 April 2014. ↑ Hsu & Chang 1971 , pp. 195–200. ↑ Tucker, Spencer C. (23 December 2009). A Global Chronology of Conflict: From the Ancient World to the Modern Middle East [6 volumes]: From the Ancient World to the Modern Middle East. ABC-CLIO. ISBN 978-1-85109-672-5. Archived from the original on 18 August 2018. Retrieved 27 August 2017– via Google Books. ↑ Goldman, Stuart D. (28 August 2012). 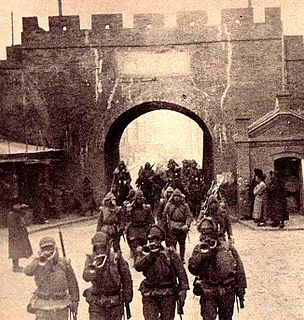 "The Forgotten Soviet-Japanese War of 1939". The Diplomat. Archived from the original on 29 June 2015. Retrieved 26 June 2015. ↑ Timothy Neeno. "Nomonhan: The Second Russo-Japanese War". MilitaryHistoryOnline.com. Archived from the original on 24 November 2005. Retrieved 26 June 2015. ↑ "The German Campaign In Poland (1939)". Archived from the original on 24 May 2014. Retrieved 29 October 2014. 1 2 "The Danzig Crisis". ww2db.com. Archived from the original on 5 May 2016. Retrieved 29 April 2016. 1 2 "Major international events of 1939, with explanation". Ibiblio.org. Archived from the original on 10 March 2013. Retrieved 9 May 2013. ↑ Keegan 1997 , p. 35. Cienciala 2010 , p. 128, observes that, while it is true that Poland was far away, making it difficult for the French and British to provide support, "[f]ew Western historians of World War II ... know that the British had committed to bomb Germany if it attacked Poland, but did not do so except for one raid on the base of Wilhelmshafen. The French, who committed to attack Germany in the west, had no intention of doing so." ↑ Beevor 2012 , p. 32; Dear & Foot 2001 , pp. 248–49; Roskill 1954 , p. 64. ↑ James Bjorkman, New Hope for Allied Shipping Archived 18 December 2018 at the Wayback Machine , Retrieved 17 December 2018. ↑ Murray & Millett 2001 , pp. 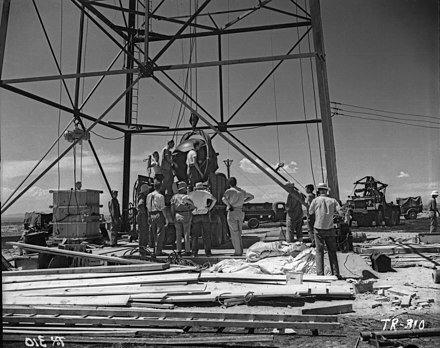 57–63. 1 2 Murray 1983 , The Battle of Britain . 1 2 3 "Major international events of 1940, with explanation". Ibiblio.org. Archived from the original on 25 May 2013. ↑ Steury 1987 , p. 209; Zetterling & Tamelander 2009 , p. 282. ↑ Skinner Watson, Mark. "Coordination With Britain". 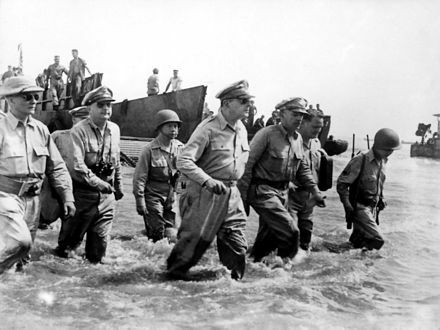 US Army in WWII – Chief of Staff: Prewar Plans and Operations. Archived from the original on 30 April 2013. Retrieved 13 May 2013. 1 2 Klooz, Marle; Wiley, Evelyn (1944), Events leading up to World War II – Chronological History, 78th Congress, 2d Session – House Document N. 541, Director: Humphrey, Richard A., Washington: US Government Printing Office, pp. 267–312 (1941), archived from the original on 14 December 2013, retrieved 9 May 2013 . ↑ Glantz 2001 , p. 26: "By 1 November [the Wehrmacht] had lost fully 20% of its committed strength (686,000 men), up to 2/3 of its ½-million motor vehicles, and 65 percent of its tanks. The German Army High Command (OKH) rated its 136 divisions as equivalent to 83 full-strength divisions." ↑ Beevor 1998 , pp. 41–42; Evans 2008 , pp. 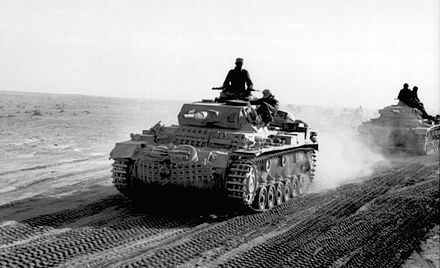 213–14, notes that "Zhukov had pushed the Germans back where they had launched Operation Typhoon two months before. ... Only Stalin's decision to attack all along the front instead of concentrating his forces in an all-out assault against the retreating German Army Group Centre prevented the disaster from being even worse." ↑ "Japanese Policy and Strategy 1931 – July 1941". US Army in WWII – Strategy and Command: The First Two Years. pp. 45–66. Archived from the original on 6 January 2013. Retrieved 15 May 2013. 1 2 "The decision for War". US Army in WWII – Strategy and Command: The First Two Years. pp. 113–27. Archived from the original on 25 May 2013. Retrieved 15 May 2013. 1 2 "The Showdown With Japan Aug–Dec 1941". US Army in WWII – Strategic Planning for Coalition Warfare. pp. 63–96. Archived from the original on 9 November 2012. Retrieved 15 May 2013. ↑ The United States Replies Archived 29 April 2013 at the Wayback Machine . 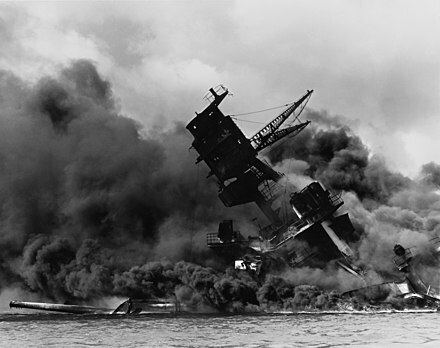 Investigation of the Pearl Harbor attack. ↑ Painter 2012 , p. 26: "The United States cut off oil exports to Japan in the summer of 1941, forcing Japanese leaders to choose between going to war to seize the oil fields of the Netherlands East Indies or giving in to U.S. pressure." ↑ Wood 2007 , p. 9, listing various military and diplomatic developments, observes that "the threat to Japan was not purely economic." ↑ Dower 1986 , p. 5, calls attention to the fact that "the Allied struggle against Japan exposed the racist underpinnings of the European and American colonial structure. 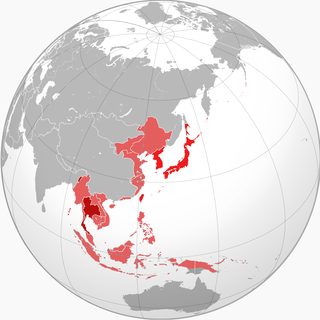 Japan did not invade independent countries in southern Asia. It invaded colonial outposts which the Westerners had dominated for generations, taking absolutely for granted their racial and cultural superiority over their Asian subjects." 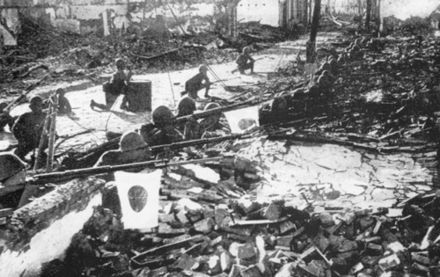 Dower goes on to note that, before the horrors of Japanese occupation made themselves felt, many Asians responded favourably to the victories of the Imperial Japanese forces. ↑ Dunn 1998 , p. 157. According to May 1955 , p. 155, Churchill stated: "Russian declaration of war on Japan would be greatly to our advantage, provided, but only provided, that Russians are confident that will not impair their Western Front." 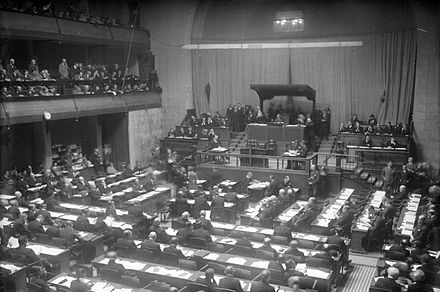 ↑ Klooz, Marle; Wiley, Evelyn (1944), Events leading up to World War II – Chronological History, 78th Congress, 2d Session – House Document N. 541, Director: Humphrey, Richard A., Washington: US Government Printing Office, p. 310 (1941), archived from the original on 14 December 2013, retrieved 9 May 2013 . ↑ "The First Full Dress Debate over Strategic Deployment. 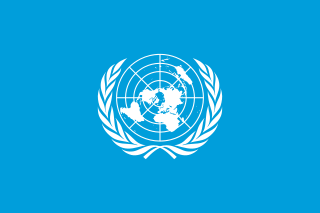 Dec 1941 – Jan 1942". US Army in WWII – Strategic Planning for Coalition Warfare. pp. 97–119. Archived from the original on 9 November 2012. Retrieved 16 May 2013. ↑ "The Elimination of the Alternatives. 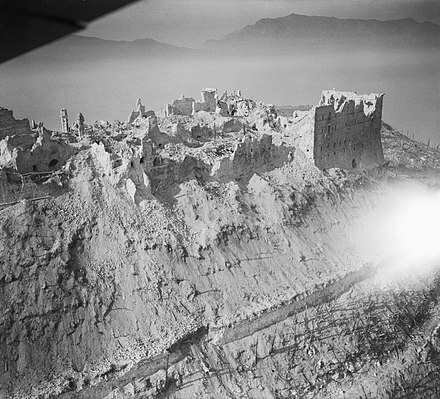 Jul–Aug 1942". US Army in WWII – Strategic Planning for Coalition Warfare. pp. 266–92. Archived from the original on 30 April 2013. Retrieved 16 May 2013. ↑ "Casablanca – Beginning of an Era: January 1943". US Army in WWII – Strategic Planning for Coalition Warfare. pp. 18–42. Archived from the original on 25 May 2013. Retrieved 16 May 2013. ↑ "The Trident Conference – New Patterns: May 1943". 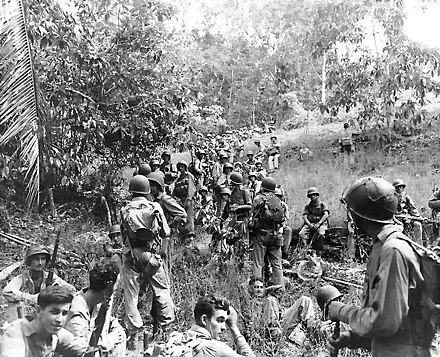 US Army in WWII – Strategic Planning for Coalition Warfare. pp. 126–45. Archived from the original on 25 May 2013. Retrieved 16 May 2013. ↑ Schoppa 2011 , p. 28. ↑ Chevrier & Chomiczewski & Garrigue 2004 Archived 18 August 2018 at the Wayback Machine , p. 19. ↑ Ropp 2000 , p. 368. ↑ Glantz 1986; Glantz 1989 , pp. 149–59. ↑ Padfield 1998 , pp. 335–36. ↑ Kolko 1990 , pp. 211, 235, 267–68. ↑ Iriye 1981 , p. 154. ↑ Polley 2000 , p. 148. ↑ Beevor 2012 , pp. 268–74. ↑ Ch'i 1992 , p. 161. ↑ Weinberg 2005 , pp. 660–61. ↑ Glantz 2002 , pp. 327–66. ↑ Glantz 2002 , pp. 367–414. ↑ Chubarov 2001 , p. 122. ↑ Holland 2008 , pp. 169–84; Beevor 2012 , pp. 568–73. The weeks after the fall of Rome saw a dramatic upswing in German atrocities in Italy (Mazower 2008 , pp. 500–02). The period featured massacres with victims in the hundreds at Civitella (de Grazia & Paggi 1991; Belco 2010), Fosse Ardeatine (Portelli 2003), and Sant'Anna di Stazzema (Gordon 2012 , pp. 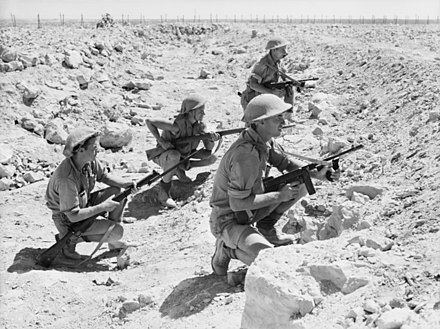 10–1), and is capped with the Marzabotto massacre. ↑ Lightbody 2004 , p. 224. 1 2 Zeiler 2004 , p. 60. ↑ Beevor 2012 , pp. 555–60. ↑ Ch'i 1992 , p. 163. ↑ Coble 2003 , p. 85. ↑ Rees 2008 , pp. 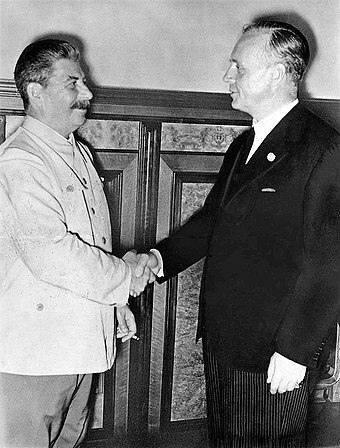 406–07: "Stalin always believed that Britain and America were delaying the second front so that the Soviet Union would bear the brunt of the war." ↑ Weinberg 2005 , p. 695. ↑ Badsey 1990 , p. 91. ↑ Dear & Foot 2001 , p. 562. ↑ Zaloga 1996 , p. 7: "It was the most calamitous defeat of all the German armed forces in World War II." ↑ Berend 1996 , p. 8. ↑ Evans 2008 , p. 653. ↑ Wiest & Barbier 2002 , pp. 65–66. ↑ Marston 2005 , p. 120. ↑ Jowett & Andrew 2002 , p. 8. ↑ Howard 2004 , p. 140. ↑ Drea 2003 , p. 54. ↑ Cook & Bewes 1997 , p. 305. ↑ Glantz 2001 , p. 85. ↑ Beevor 2012 , pp. 709–22. ↑ Buchanan 2006 , p. 21. ↑ O'Reilly 2001 , p. 244. ↑ Kershaw 2001 , p. 823. ↑ Evans 2008 , p. 737. ↑ Glantz 1998 , p. 24. ↑ Long, Tony (9 March 2011). 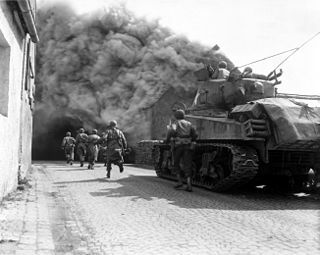 "March 9, 1945: Burning the Heart Out of the Enemy". wired.com. Wired Magazine. Archived from the original on 23 March 2017. Retrieved 22 June 2018. 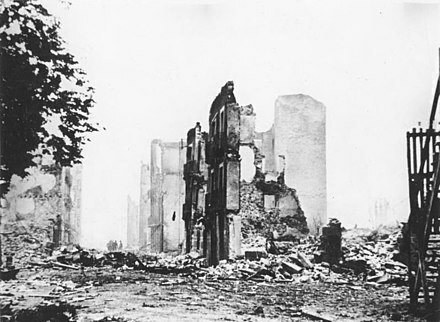 1945: In the single deadliest air raid of World War II, 330 American B-29s rain incendiary bombs on Tokyo, touching off a firestorm that kills upwards of 100,000 people, burns a quarter of the city to the ground, and leaves a million homeless. ↑ Drea 2003 , p. 57. ↑ Jowett & Andrew 2002 , p. 6. ↑ Williams 2006 , p. 90. ↑ Miscamble 2007 , p. 201. ↑ Miscamble 2007 , pp. 203–04. ↑ Beevor 2012 , p. 776. ↑ Frei 2002 , pp. 41–66. ↑ Eberhardt, Piotr (2015). "The Oder-Neisse Line as Poland's western border: As postulated and made a reality". Geographia Polonica. 88 (1). Archived from the original on 3 May 2018. Retrieved 3 May 2018. ↑ Eberhardt, Piotr (2006). Political Migrations in Poland 1939–1948 (PDF). Warsaw: Didactica. ISBN 978-1-5361-1035-7. Archived from the original (PDF) on 26 June 2015. 1 2 Eberhardt, Piotr (2011). Political Migrations On Polish Territories (1939-1950) (PDF). Warsaw: Polish Academy of Sciences. ISBN 978-83-61590-46-0. Archived (PDF) from the original on 20 May 2014. Retrieved 3 May 2018. ↑ Eberhardt, Piotr (2012). "The Curzon line as the eastern boundary of Poland. The origins and the political background". Geographia Polonica. 85 (1). Archived from the original on 3 May 2018. Retrieved 3 May 2018. ↑ Roberts 2006 , p. 43. ↑ Roberts 2006 , p. 55. ↑ Shirer 1990 , p. 794. ↑ Wettig 2008 , pp. 20–21. ↑ Senn 2007 , p. ?. ↑ Yoder 1997 , p. 39. 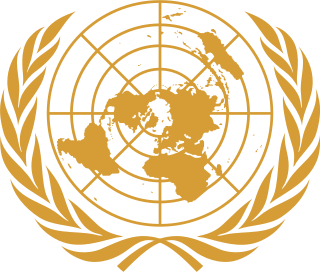 The UDHR is viewable here Archived 3 July 2017 at the Wayback Machine . ↑ Kantowicz 2000 , p. 6. ↑ Wettig 2008 , pp. 96–100. ↑ Trachtenberg 1999 , p. 33. ↑ Borstelmann 2005 , p. 318. ↑ Weinberg 2005 , p. 911. ↑ Stueck 2010 , p. 71. ↑ Lynch 2010 , pp. 12–13. ↑ Roberts 1997 , p. 589. ↑ Darwin 2007 , pp. 441–43, 464–68. ↑ Dear & Foot 2001 , p. 1006; Harrison 1998 , pp. 34–55. ↑ Balabkins 1964 , p. 207. ↑ Petrov 1967 , p. 263. ↑ Balabkins 1964 , pp. 208, 209. ↑ Balabkins 1964 , p. 212. ↑ Ritchie 1992 , p. 23. ↑ Minford 1993 , p. 117. ↑ Emadi-Coffin 2002 , p. 64. ↑ Smith 1993 , p. 32. ↑ Neary 1992 , p. 49. ↑ White, Matthew. "Source List and Detailed Death Tolls for the Twentieth Century Hemoclysm". Historical Atlas of the Twentieth Century. Matthew White's Homepage. Archived from the original on 4 August 2012. Retrieved 20 April 2007. ↑ "World War II Fatalities". secondworldwar.co.uk. Archived from the original on 22 September 2008. Retrieved 20 April 2007. ↑ Smith 1994 , p. 204. ↑ Friedrich, Karsten. The Cruel Slaughter of Adolf Hitler. Lulu.com. ISBN 978-1-4467-9570-5. Archived from the original on 18 August 2018. Retrieved 27 August 2017– via Google Books. ↑ Florida Center for Instructional Technology (2005). "Victims". A Teacher's Guide to the Holocaust. University of South Florida. Archived from the original on 16 May 2016. Retrieved 2 February 2008. 1 2 Niewyk & Nicosia 2000 , pp. 45–52. ↑ Snyder, Timothy (16 July 2009). "Holocaust: The Ignored Reality". The New York Review of Books. Archived from the original on 10 October 2017. Retrieved 27 August 2017. ↑ "Polish Victims". www.ushmm.org. Archived from the original on 7 May 2016. Retrieved 27 August 2017. ↑ "Non-Jewish Holocaust Victims : The 5,000,000 others". BBC . April 2006. Archived from the original on 3 March 2013. Retrieved 4 August 2013. ↑ Evans 2008 , pp. 158–60, 234–36. ↑ Massacre, Volhynia. "The Effects of the Volhynian Massacres". 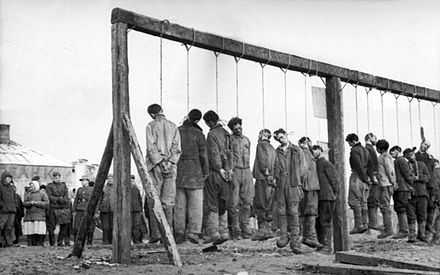 Volhynia Massacre. Archived from the original on 21 June 2018. Retrieved 9 July 2018. ↑ ""Od rzezi wołyńskiej do akcji Wisła. 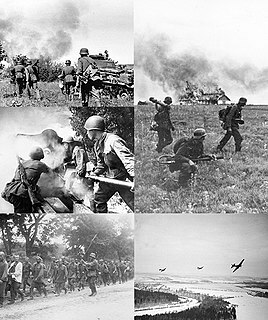 Konflikt polsko-ukraiński 1943–1947"". dzieje.pl (in Polish). Archived from the original on 24 June 2018. Retrieved 10 March 2018. ↑ Dear & Foot 2001 , p. 290. ↑ Rummell, R.J. "Statistics". Freedom, Democide, War. 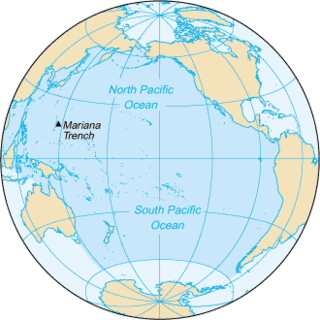 The University of Hawaii System. Archived from the original on 23 March 2010. Retrieved 25 January 2010. ↑ Chang 1997 , p. 102. ↑ Bix 2000 , p. ?. ↑ Tucker & Roberts 2004 , p. 320. ↑ Harris 2002 , p. 74. ↑ Lee 2002 , p. 69. ↑ John Dower (2007). "Lessons from Iwo Jima". Perspectives. 45 (6): 54–56. Archived from the original on 17 January 2011. Retrieved 12 January 2014. ↑ Overy 2004 , pp. 568–9. ↑ Applebaum 2003 , pp. 389–396. ↑ Zemskov V.N. On repatriation of Soviet citizens. Istoriya SSSR., 1990, No.4, (in Russian). See also Archived 14 October 2011 at the Wayback Machine (online version), and Bacon 1992; Ellman 2002. ↑ Tanaka 1996 , pp. 2–3. ↑ Bix 2000 , p. 360. 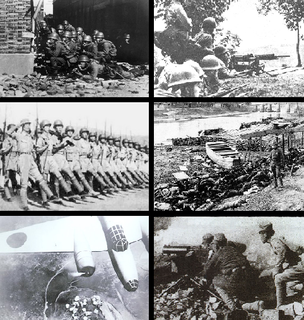 1 2 "Indonesia: World War II and the Struggle For Independence, 1942–50; The Japanese Occupation, 1942–45". Library of Congress. 1992. Archived from the original on 11 February 2013. Retrieved 9 February 2007. ↑ Liberman 1996 , p. 42. ↑ Milward 1992 , p. 138. ↑ Milward 1992 , p. 148. ↑ Barber & Harrison 2006 , p. 232. ↑ Hill 2005 , p. 5. ↑ Radtke 1997 , p. 107. 1 2 Rahn 2001 , p. 266. 1 2 Harrison 1998 , p. 3. ↑ Harrison 1998 , p. 2. ↑ Bernstein 1991 , p. 267. ↑ Overy 1994 , p. 26. ↑ BBSU 1998 , p. 84; Lindberg & Todd 2001 , p. 126..
↑ Tucker & Roberts 2004 , p. 76. ↑ Levine 1992 , p. 227. ↑ Klavans, Di Benedetto & Prudom 1997; Ward 2010 , pp. 247–51. ↑ Tucker & Roberts 2004 , p. 163. ↑ Sumner & Baker 2001 , p. 25. ↑ Hearn 2007 , p. 14. ↑ Gardiner & Brown 2004 , p. 52. ↑ Burcher & Rydill 1995 , p. 15. ↑ Burcher & Rydill 1995 , p. 16. 1 2 Tucker & Roberts 2004 , p. 125. 1 2 Tucker & Roberts 2004 , p. 108. ↑ Tucker & Roberts 2004 , p. 734. 1 2 Cowley & Parker 2001 , p. 221. ↑ Sprague, Oliver; Griffiths, Hugh (2006). "The AK-47: the worlds favourite killing machine" (PDF). controlarms.org. p. 1. Archived from the original on 28 December 2018. Retrieved 14 November 2009. ↑ Ratcliff 2006 , p. 11. ↑ Rowe, Neil C.; Rothstein, Hy. "Deception for Defense of Information Systems: Analogies from Conventional Warfare". Departments of Computer Science and Defense Analysis U.S. Naval Postgraduate School. Air University. Archived from the original on 23 November 2010. Retrieved 15 November 2009. 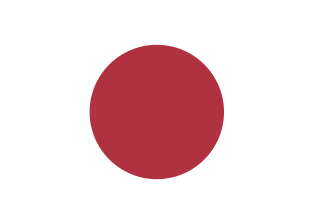 The relations between Germany and Japan were officially established in 1861 with the first ambassadorial visit to Japan from Prussia. Japan modernized rapidly after the Meiji Restoration of 1867, often using German models through intense intellectual and cultural exchange. 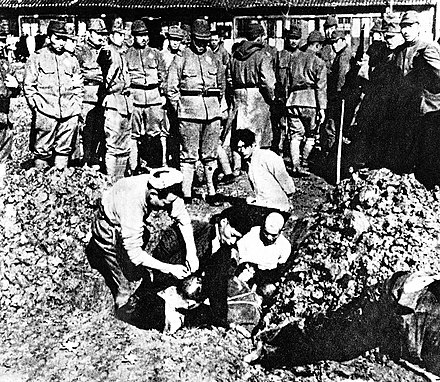 After 1900 Japan aligned itself with Britain, and Germany and Japan were enemies in World War I. Japan declared war on the German Empire in 1914 and seized key German possessions in China and the Pacific.